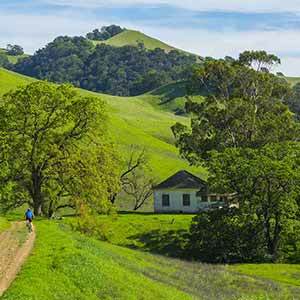 This quiet, remote preserve is located in the surprisingly scenic foothills east of Mount Diablo. 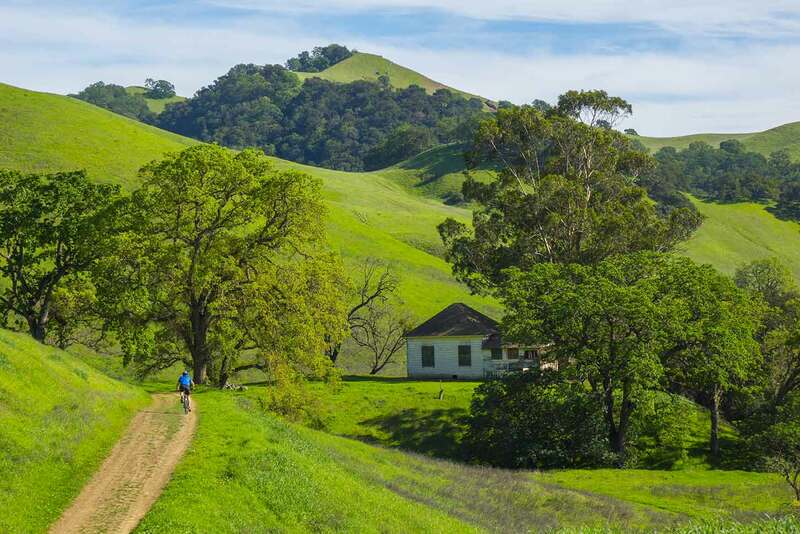 In fact, the eastern foothills are one of the most scenic parts of the Mount Diablo area, with an attractive mix of grasslands and dense woodland. 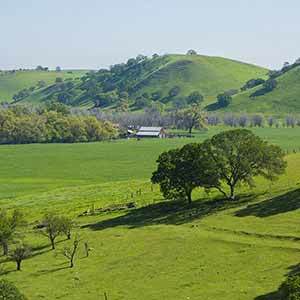 It looks a lot like Pleasanton Ridge or Las Trampas, but with much less development around the park. 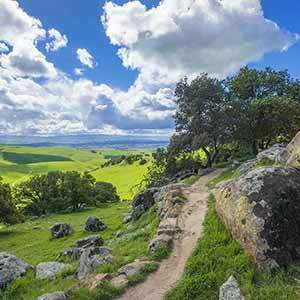 Morgan Territory is a huge park but it doesn’t have any major attractions like Black Diamond’s mine or Brushy Peak’s peak. 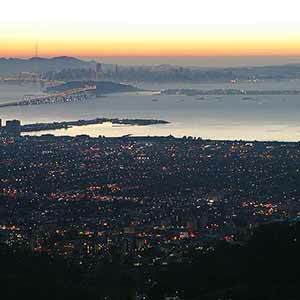 So although its main parking lot gets pretty full on weekends, once inside the park everyone spreads out and it’s pretty quiet. 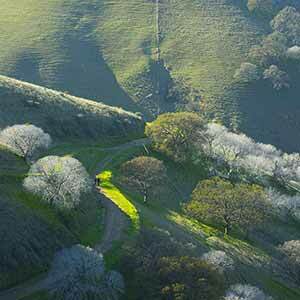 The Volvon Trail starts at Morgan Territory’s main parking lot and runs along an oak-sprinkled ridge with views of the Central Valley. 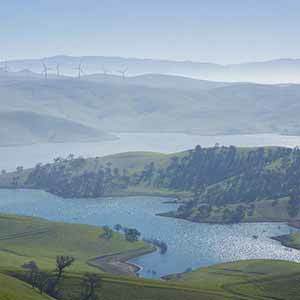 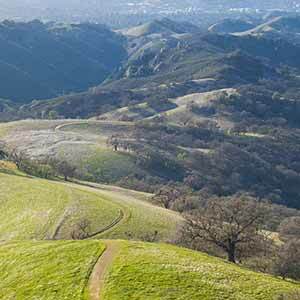 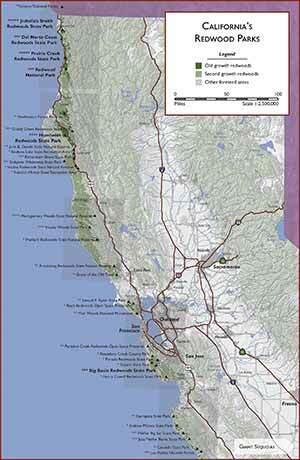 This hike starts on picturesque Finley Road outside Danville and climbs to a high, open ridge in Mount Diablo State Park, then descends through wooded canyons.. 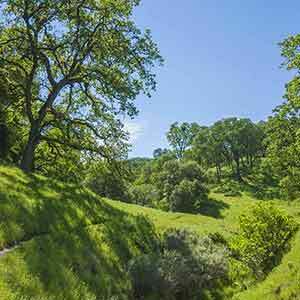 This single-site trail camp is in an attractive little glen, partly shaded by a big oak tree and with a view of Mount Diablo.